The new recipes never end! That is so AWESOME. Seriously. There are no words. And Jesse as the baker. I’m going to cry. And laugh. And cry. But mostly laugh. Ha! Very nice, you two. I expect nothing less than brilliance from you guys. 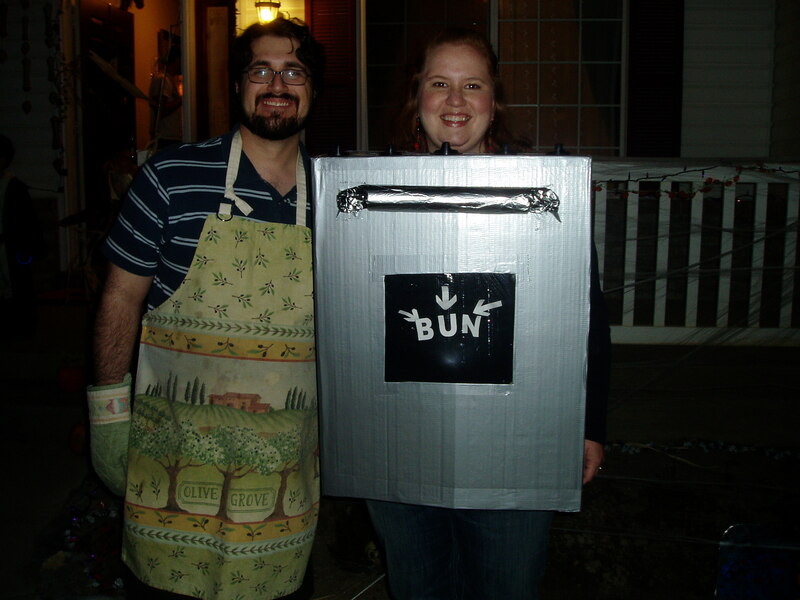 That is the sweetest couple costume ever! You two (three) are the BEST!!! hee hee hee hee….HAHAHAHAHAHAHAHAHAHA!!!!!!! *snort* giggle…….. Best. Cheesy. Costume. EVER!!!!! Previous story Hail to the king, baby.